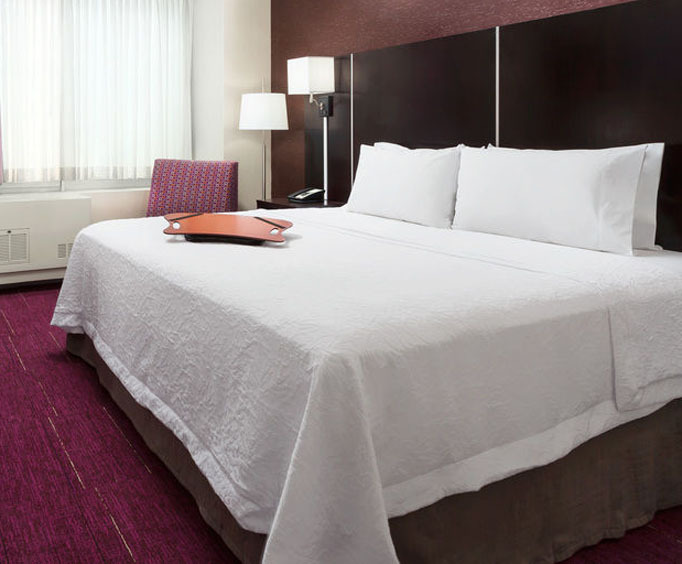 Coming to New York, stay with us at The Hampton Inn Times Square Central. While you are here check out the Rockefeller Center and take a historian tour through their beautiful gardens and the breathtaking artistry of New York, located less than a mile from our Inn. On the other hand, you could check any number of places that are less than a mile from the Inn, such as Museum of Modern Art, Madison Square Garden, Grand Central Terminal, CentralPark, and that's only naming a few. 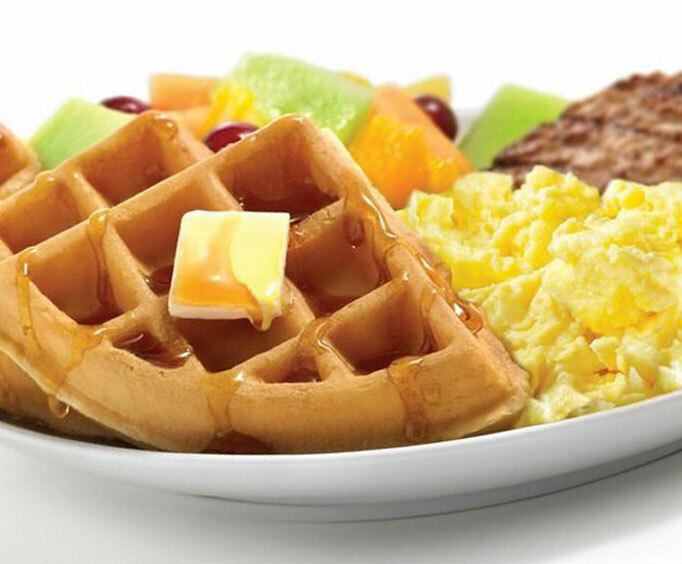 During your stay enjoy our complimentary hot breakfast and beverage area. For the enthusiastic athletic guest, we offer a fitness center so you can continue your exercise routine. snacks we have a convenience store on –site. 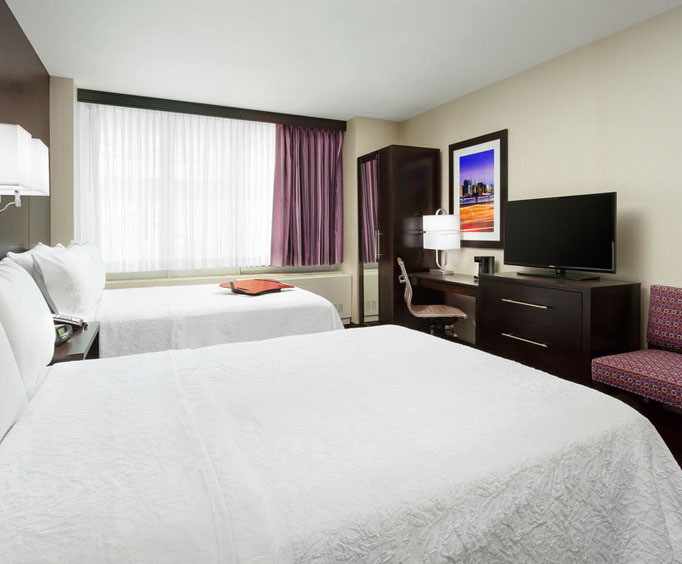 In all of our rooms we offer, Easy to Set Alarm Clock Radio, HD Channels, In-Room Movie Channel, TV - 40 Inch Flat Panel HD, Coffee Maker, Hairdryer, High Speed Internet-No Charge, Iron/Ironing Board, and a Lap Desk. For your convenience we offer a restaurant in our Inn. If you're wanting to go out there are several good restaurant within three miles of our Inn, such as O'Brien Irish Pub NYC, Juniors Cheesecake, Wolfgang's Steakhouse and this is only a few. If you're into shopping there is a place called 5th avenue shopping located approximately 0.3 miles from the Inn.